May 2015 sees the release of the thirteenth novel I have published in the UK. It is called Mockingbird Songs. As has been the case with a significant number of the books I have released, the title I worked with and the title we eventually used were not the same. The working title of this novel was 'The Whiskey Poet'. 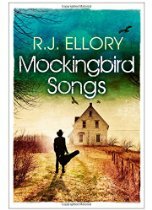 Set across two different timeframes - one in the 1940s, the second in the 1970s - Mockingbird Songs tells the related stories of two men, both country singers. From the 1940s we have Evan Riggs, an up-and-coming music star from Calgary in West Texas. We learn of his life and loves, his drinking and his demons, finally the reasons he wound up serving life without parole for the murder of a stranger. 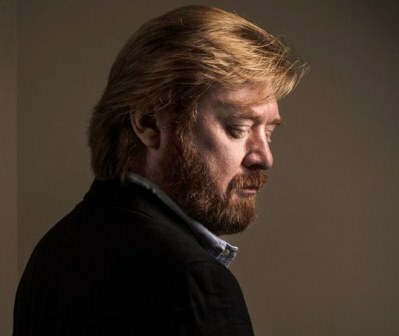 Evan recorded one album before he was sent to prison, an album entitled 'The Whiskey Poet'. The second story, set the better part of thirty years later, is of Henry Quinn, a man barely out of his teens who finds himself sharing a cell with Riggs. Serving only a handful of years, Quinn is mentored by Riggs, and when finally released he leaves with a promise: Henry will head back to Calgary and deliver a letter to a girl called Sarah, the daughter that Evan Riggs has never seen. And so it goes. Henry makes his way to West Texas, and in Calgary he finds that not only is Evan's brother the sheriff of Calgary, but the whys and wherefores of this estranged daughter seem clouded in mystery and secrets. Who the girl was, what happened to her, the issues and incidents that drove the Riggs brothers apart are the central thrust of the novel, so I will not give those details here. What I will talk about is why I wanted to write a crime novel about musicians, why I named the book after my band, and how my passion for both literature and music began. I sit in a darkened film editing suite. The room is thick with smoke. I am watching a rough cut of a film by Olivier Dahan, Oscar-winning director of ‘La Vie En Rose’. On the sound system is a previously unheard soundtrack written by Bob Dylan. It is my first trip to France, and there I am – somewhere in an office within the shadow of the Eiffel Tower – discussing the possibility of writing a screenplay of A Quiet Belief In Angels. What happened as a result of that meeting, the three days I spent in Paris, the screenplay, the potential film…all of this is irrelevant to the story I am telling here. What was really interesting to me about that first meeting was Robert Johnson. Forrest Whittaker as Robert Johnson, right there on the screen ahead of me. The whole backstory of Johnson – how he met Lucifer at the crossroads and sold his soul for the Blues. That story. Now we head back more than thirty years. I am seven years old, and I stand in the hallway of a strange house. My mother has just died, and I've been sent to stay with a relative. The relative - a great aunt – has a son. The son is a teenager, a wild guy, a rocker, and he has a room painted black with posters all over the walls – Hendrix, Joplin, Canned Heat, Jim Morrison and The Doors. He spends his time playing records, smoking cigarettes, drinking beer. Lost, confused, I nevertheless find some strange comfort in the company of this wild teenager. The teenager told me a story and played a record. ‘This is Robert Johnson,’ he said. ‘He went down to the crossroads and sold his soul to the Devil for the Blues…’ And I listened, and I heard something in the music that stirred something inside of me, and I knew that no other music would ever sound the same. Perhaps more accurately, I would never be able to listen to any other style of popular music and not hear the Blues somewhere hiding within it. Because the Blues sits behind everything. It is a rhythm, an atmosphere, a heartbeat, a pulse, a colour, a feeling. It isn’t just a sound. You hear sounds with your ears. This wasn’t just something you heard, it was something you could feel in your heart. The fact that I went on to write novels is also not part of that story. Not directly. The fact that I became a writer who was always trying to capture that feeling, that emotion, that sound with words, is perhaps more to the point. Because they’re the same thing. It’s the emotional connection. The emotional impact. I read for the same reason. Always have done, and always will. I read to feel something. I listen to Son House and Leadbelly and Muddy Waters and Charley Patton to feel something too. The emotion comes first, the rhythm comes second, the dancing comes last. Music is an outburst of the soul, Delius said. My interest was sparked, like the small flame at the tail of the touchpaper, and at the end of that touchpaper was dynamite. I moved on from there, found so many different stories that had all been woven from the same original strands. It was an evolution, a progression, all the same story, just told in very different ways. My girl gone left me. You don’t know how it feels to have no home. Got no money in my pocket, no shoes on my feet. Got no food in my belly and my bed’s in the street. And without Jimmie Rodgers and the Carter Family the ‘The Golden Age of Country’ would never have happened. No-one would have heard of the Grand Ole Opry; Waylon Jennings, Johnny Cash, Hank Williams Jnr., Townes Van Zandt and Willie Nelson would have just been playing for drinks in some out-of-town juke joint or bowling alley. And on the West Coast, had it not been for Bob Wills and Lefty Frizzell, we would never have discovered The Bakersfield Sound, and Merle Haggard and Buck Owens would have been packing groceries or fixing cars in a truckstop outside of Mendocino. And from these strange unions came yet another illegitimate child – real rockabilly. Without that unlikely collision of Hillbilly Country music and Delta Blues we would never have had Carl Perkins or Elvis or Johnny Burnette or Eddie Cochran, and without Eddie Cochran we would never have had Chuck Berry and Jimmy Reed, and without Berry and Reed we would never have had The Rolling Stones. And then the brash parents took a roadtrip, headed west and west again, and as they travelled they produced further offspring – artists like Gram Parsons, Jerry Garcia and The Grateful Dead, Neil Young, The Allman Brothers, Buffalo Springfield and The Eagles. Country Rock was born. Lynyrd Skynyrd’s ‘Freebird’ and ‘Sweet Home Alabama’, Canned Heat’s ‘On The Road Again’ – released in 1968, adapted by Alan Wilson from a song of the same name, recorded by Floyd Jones in 1953. And Jones’ song, well that was an adaptation of a song called ‘Big Road Blues’, recorded in 1928 by Delta Bluesman, Tommy Johnson. Did they know at Woodstock that they were listening to a song that was twice as old as most of the people there? Maybe not, but it didn’t matter. It said the same thing a different way. It conveyed the same emotions, the same heart, and you either got it or you didn’t. I grew up with music everywhere, and if there wasn’t music when I got wherever I was going, well I soon got some organised. Four decades later I am still hammering away at the same chords, singing some of the same tunes, putting a band back on the road when all sense and sensibility says that such a thing should not be considered by an unfit man in his late forties. But to hell with the rules and regulations, to hell with the conservative, the expected, the norm. This is about life. This is about being whoever you are. This is about feeling something inside of yourself that you cannot exorcise without making a noise. ‘The Whiskey Poets’ will appear somewhere, sometime, and they will play riffs invented by Bo Diddley and Paul Burlison and Mike Bloomfield and Scotty Moore. Why? Because they are timeless. People might age, but the emotion stays young for ever. And now – even when I write my fiction – I am looking for the same rhythm, that same pace, the same tensions that I find in music. I am working on the sentences and paragraphs like they’re bars of music. I am losing a word here and there because the phrase has one too many syllables and it doesn’t feel right. I know when it sounds right to my ear. I know when it looks right to my eye. It has a tempo, a timbre, an atmosphere, a colour. And when I write lyrics my musical heritage is all the more evident. The girl is still leaving. I still ain’t got no money. The train’s pulling out of the station. I am sleeping in the street. This is what we do. This is what we have to say. This is what we sing about. What we write about. Matters of the heart. Matters of the soul. The business of life. Music has always been there, always something to look forward to, always there to return to. It is both a destination and a home; it is both a familiar friend and a new acquaintance; it is both a parent and a child. I look back at my life, and all the important events, all the things that mattered – marriage, fatherhood, new jobs, new places and people- and all of them were somehow connected to music. I can say in music what I will never be able to write. I can write in words what I will never be able to communicate with music. It has been said that a composer composes because he cannot say what he wants in words. I believe the corollary also, that a writer writes because he cannot yet communicate his thoughts and feelings with sounds. And that, stated perhaps inelegantly, is why I wrote a crime novel about musicians. It's the same reason I put 'The Whiskey Poets' together and recorded an album; why we'll start our UK tour in London in June...and those who come along might very well wind up with stories about books, stories about music, songs that stay with you, words that you never forget, and it will all be part of the same mad rush of whatever that is me. I guess, in truth, we're all trying to be heard above the noise of life, and the very worst thing we can do is stay quiet.